The Swiss Auctioneers OLDTIMER GALERIE TOFFEN have an interesting lot currently up for grabs. 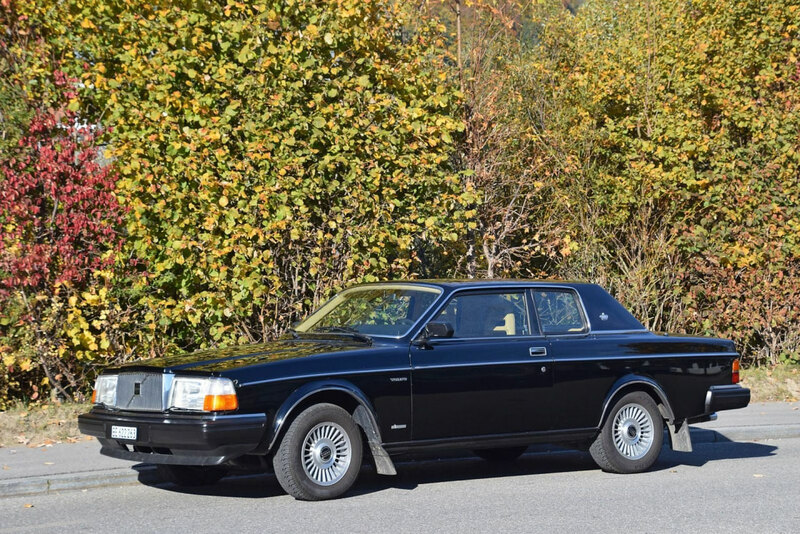 Lot 140 is a 1981 VOLVO 262 C Bertone that once belonged to DAVID BOWIE when he resided in Switzerland. The 5 door black sedan has an estimate of CHF 65,000 - 75,000. This car was delivered on June 18th 1981 to the musician David Robert Jones (David Bowie) and registered in his name on June 22nd 1981 with the licence plate VD 122 922. 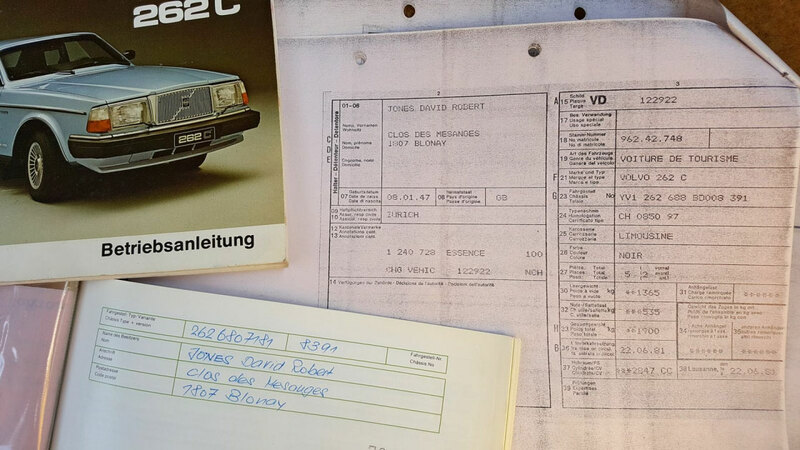 In 1985, the 262 C was registered to the Bewlay Bros. S.A.R.L - the production company of David Bowie and Iggy Pop - and continued to be used by Bowie during his stays in Switzerland with the plates VD 267 584. For more details, photographs and bidding, visit oldtimergalerie.ch website. Update: There was a frenzied bidding war for the sedan which realised a world breaking price of over 200,000 CHF (£151,841 GBP / $205,921 US). Check out the BW Monthly Planners for 2018 to see what's going on around the world relating to DAVID BOWIE happenings and events. New publications, releases, TV, radio, cinema, theatre, exhibitions, tribute gigs, birthday bashes, conventions, events, and much more continually updated. 24th: TV: Bowie, Prince and Music Legends, Sky Arts, UK, 00.30 GMT. 26th: Radio: David Bowie Star Special (from 1979), Radio BBC 6 Music, UK, 21.00 GMT. 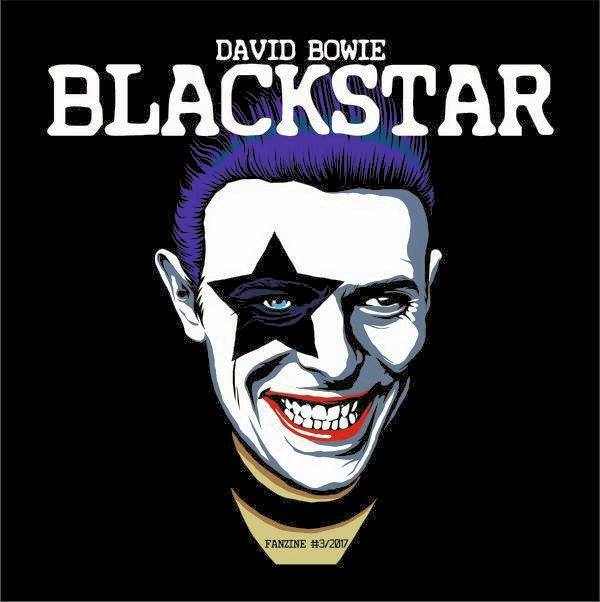 27th: Radio: David Bowie Star Special (from 1979), Radio BBC 6 Music, UK, 00.00 GMT. 27th: TV: David Bowie: Five Years documentary, RTE One, Ireland, 3.35am GMT. 27th: TV: David Bowie: Reality Tour in Dublin, ARTE, Germany, 5.00am CET. 31st: TV: David Bowie: Reality Tour in Dublin, ARTE, Germany, 1.55am CET. 3rd: TV: Rock 'n' Roll Leiharbeiter, features Earl Slick and Bowie, Spiegel Geschichte, Germany, 22.35 CET. 4th: Dublin Bowie Festival: My Life With Bowie - An Evening with Woody Woodmansey, The Sugar Club, Dublin. 5th: Philly Loves Bowie Week begins in Philadelphia, PA, USA. 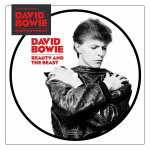 5th: Beauty And The Beast 40th Anniversary Limited Edition Picture Disc 7 Inch Single to be released. 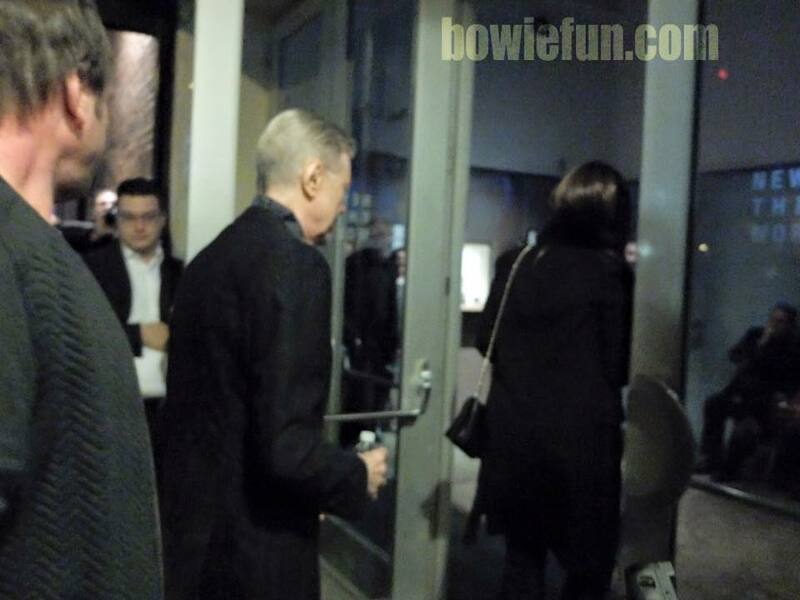 6th: Annual Charity event: Bowie in the Bar 2, The Admiral Bar, 72a Waterloo St, Glasgow G2 7DA, Scotland. 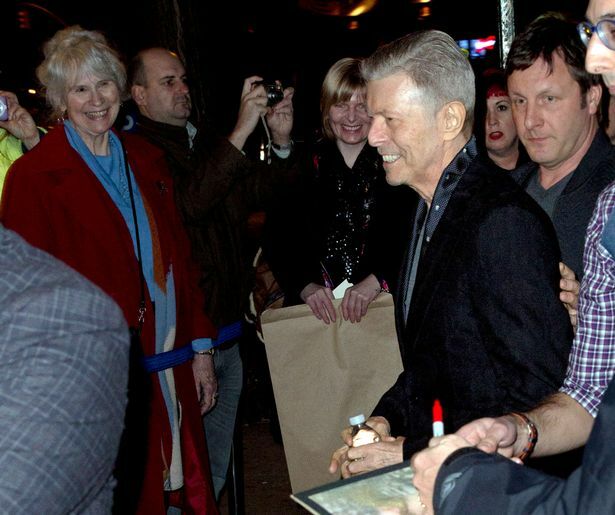 8th: TV: David Bowie: The Last Five Years documentary, HBO GO and HBO NOW, USA, 8.00pm ET. 9th: Spider from Mars: My Life with Bowie by Woody Woodmansey, Paperback version to be published. 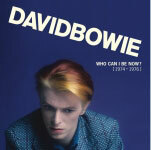 10th: Dublin Bowie Festival: An Audience with Jonathan Barnbrook, Harry Clarke Lecture Hall, NCAD. 10th: TV: Hansa Studios: By The Wall 1976-90, documentary, Sky Arts, UK, TBC. 10th: Celebrating David Bowie European tour begins featuring Garson, Belew, Leonard, Rojas and others, gig at Salle Pleyel, Paris, France. 15th: From Ibiza To The Norfolk Broads play UK tour begins. Dublin Bowie Festival regretfully announces that due to scheduling issues the HOLY HOLY show in Vicar Street on 8th January is now CANCELLED and tickets will be refunded at point of purchase. We are gutted and very sorry about this. 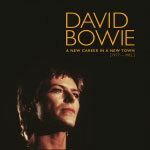 For more information and details please visit the dublinbowiefestival.ie website. Check out the latest volume where HIKARU DAVIS interviews GEORGE MURRAY. The HD PROJECTS presents Tracing My Dad - The Life And Music of Dennis Davis - Volume 8 - An Interview with George Murray - Part 1. Edited by NACHO - check out the previous volumes in this wonderful HD Projects series. Currently in the pipeline is a 144-page graphic novel entitled: 'BOWIE: Stardust, Rayguns & Moonage Daydreams' to be published by INSIGHT COMICS. Written by Steve Horton and featuring artwork by Michael Allred and his wife Laura, there is no publication date as of yet. 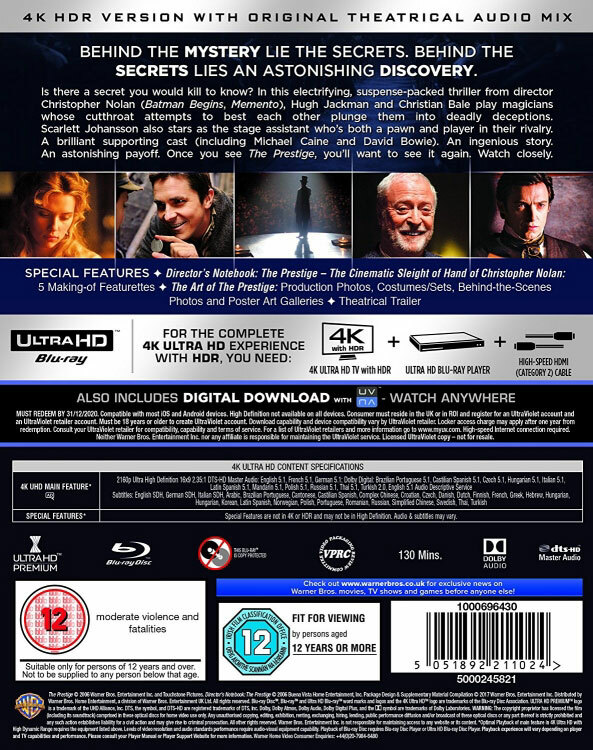 Released today is THE PRESTIGE 4K Ultra HD Blu-ray, 3 disc version via Warner Bros. Home Ent. Product Description: Thriller starring HUGH JACKMAN and CHRISTIAN BALE. Rupert Angier (Jackman) and Alfred Borden (Bale) are London-based magicians of the highest order, both blessed with spectacular powers of deception and both cursed with unrelenting envy for one another's skills. When Alfred performs an awe-inspiring trick for which there seems no logical explanation, the friendly competition shared between the pair turns to deadly rivalry as the enraged Rupert determines to uncover his rival's deepest secrets. In the world of illusion, however, nothing is ever quite as it seems, and the rules of the physical world simply don't apply. 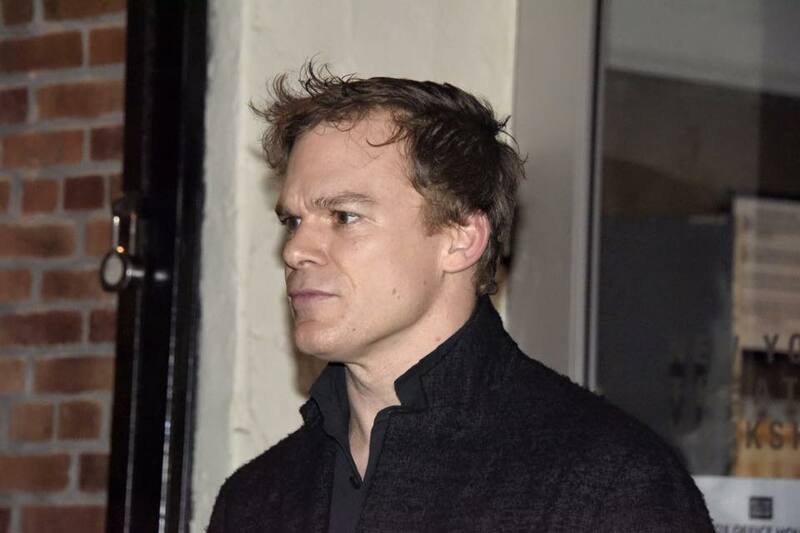 Now, as bitter competition quickly begins to consume the souls of both performers, the firestorm birthed by their anger threatens to consume all who surround them. Synopsis: Is there a secret you would kill to know? In this electrifying, suspense-packed thriller from director CHRISTOPHER NOLAN (Batman Begins, Memento), Hugh Jackman and Christian Bale play magicians whose cutthroat attempts to best each other plunge them into deadly deception. SCARLETT JOHANSSON also stars as the stage assistant who's both a pawn and player in their rivalry. 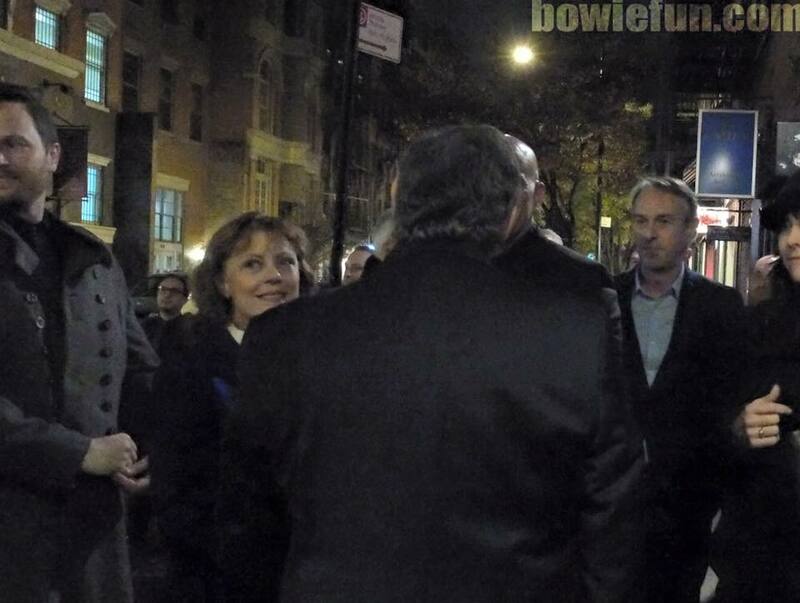 A brilliant supporting cast (including MICHAEL CAINE and DAVID BOWIE). An ingenious story. An astonishing payoff. Once you see The Prestige, you'll want to see it again. Watch closely. Extra content: SPECIAL FEATURES Director's Notebook: The Prestige - The Cinematic Sleight of Hand of Christopher Nolan: 5 Making-of Featurettes F The Art of The Prestige: Production Photos, Costumes/Sets, Behind-the-Scenes Photos and Poster Art Galleries F Theatrical Trailer. You can purchase The Prestige [Blu-ray]  NOW! The fabulous stage play FROM IBIZA TO THE NORFOLK BROADS written and directed by ADRIAN BERRY and starring ALEX WALTON begins its UK tour in January. 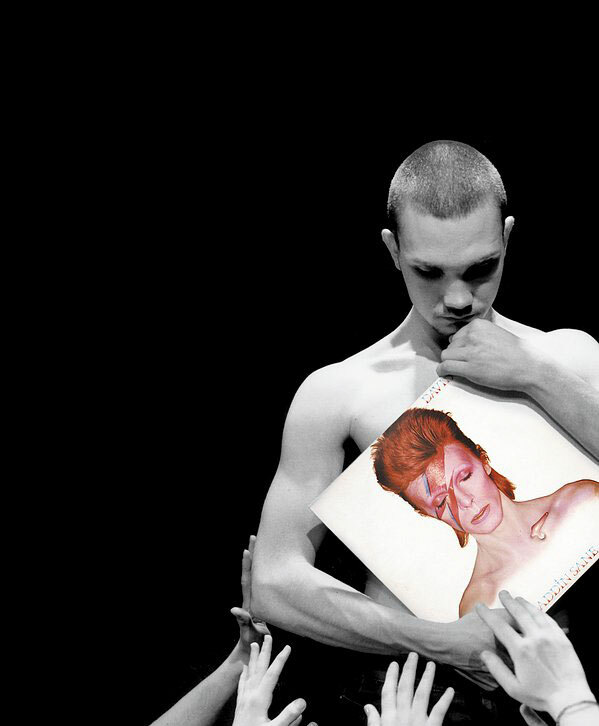 This acclaimed production tells the tale of a young DAVID BOWIE obsessive adolescent. Martin is a boy with problems - an illness no-one understands and a head full of sound and vision. 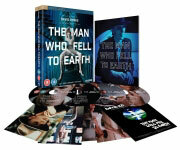 So when an unexpected gift arrives on his birthday, Martin embarks on a thrilling journey in the footsteps of his obsession, leading him to discover some long-hidden truths about himself. What follows will change his life forever. Powerful and touching, music and magic realism collide in this darkly funny and moving production featuring Alex Walton and the voice of comedian ROB NEWMAN as David Bowie. With a blistering soundtrack, the life of the pop fan is dissected in this tale of unnatural teenage wildlife. 'A compelling Bowie oddity, sharply observed, impressive conviction and touchingly believable' - The Guardian. 'Nothing short of astonishing, commands a reverential awe from the audience. With an uber cool Bowie soundtrack this is a compelling and relevant piece of live theatre. Moving and intelligent' - The Wire. Tickets are on sale NOW for all shows, apart from a handful of dates. 3rd: FROME - Merlin Theatre, Bath Road, Frome BA11 2HG - Ticket Info - ON SALE SHORTLY. For more details and information about this production, please visit the fromibiza.net website. (Ed. If you've never seen this wonderful production you simply have to see it. I highly recommend it). Over in the US, HBO have acquired the DAVID BOWIE: THE LAST FIVE YEARS documentary which premieres next month on 8th January. Focusing on the artist's final years, 'David Bowie: The Last Five Years' presents a nuanced look at the evolution of Bowie's music as told through archival footage and interviews with the musical legend's bandmates. 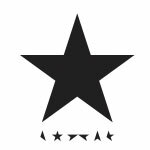 Largely focused on David's final two albums, The Next Day and ★, the film also explores his musical, 'Lazarus' written with Enda Walsh. For more info and details, pop on over to the hbo.com website. 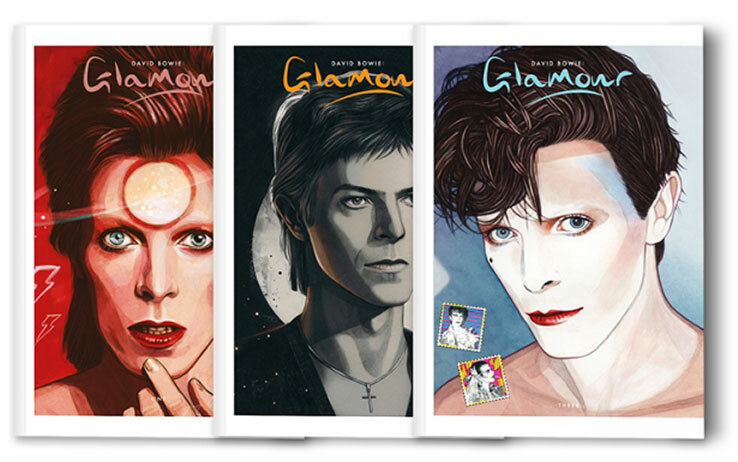 Issue #3 of the DAVID BOWIE GLAMOUR fanzine is available to pre-order now! Once again, the cover has been illustrated by Helen Green and this time it features a beautiful fold-out design. 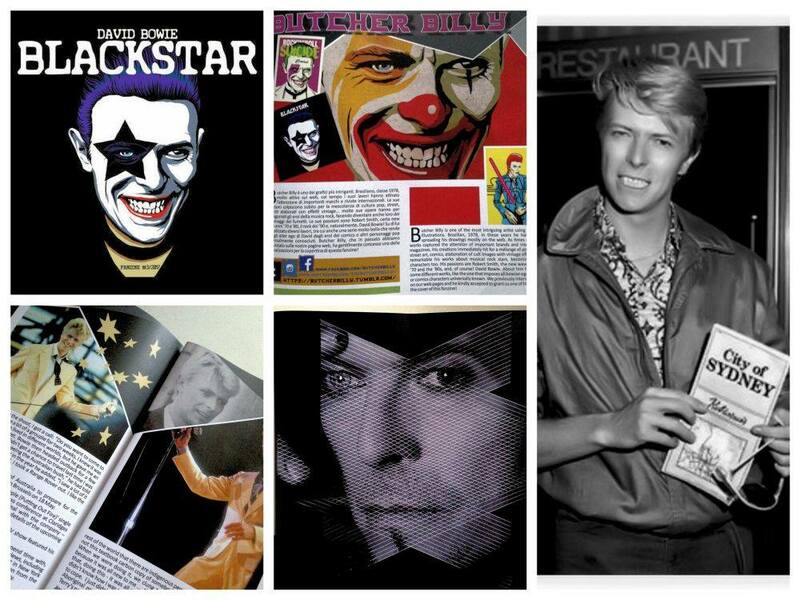 Inside, there is exclusive and original content contributed by David Bowie fans and collaborators. This third issue features: Jimmy C, Robin Clark, Ian Hunter, Paul Cuddeford, Terry O'Neill, Nicholas Pegg, Mark Plati, Catherine Russell, Tony Sales, Morgan Visconti, as well as Bowie fan submitted articles. The David Bowie Glamour fanzine is run by Andy Jones and Nick Smart and is designed by Milky Cereal. 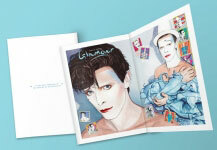 David Bowie Glamour fanzine Issue 3 will ship in mid-January. For ordering and more details please visit the davidbowieglamour.wordpress.com website. We can now confirm that the "Heroes" audio has been updated via all digital download and streaming partners. CD and LP discs (in a plain sleeve) will be ready to ship week commencing 11th December. 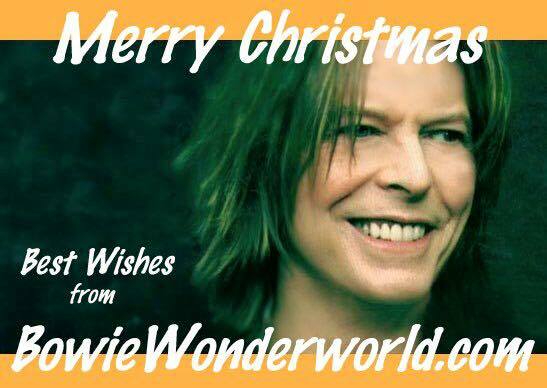 Info via davidbowie.com and Warner Music. The THIRD DAVID BOWIE BLACKSTAR fanzine is available to order now. DBBF is the new Italian fanzine, with unpublished articles both in Italian and English: 28 colour pages with beautiful pictures, all in printed in opaque glossy paper: a must for all fans. Exclusive interviews with Bowie collaborators, fan articles and experts, collectors, wonderful pictures, comics and much more. Amongst other things, in this 3rd issue you will find exclusive insights by Pierpaolo Martino (author of The David Bowie Philosophy), Luke Garro (author of the new biography published by Hoepli) and Roger Griffin (author of the beautiful David Bowie: The Golden Years book). The front cover of this third issue is the work of a well-known artist in the world of pop art: Butcher Billy. An artist who combines various sources of pop culture (music, comic books, movies, games, etc.) to mix them in irreverent and provocative works, in a creative balance between nostalgia and modernity. For more information and purchasing details, please visit dbblackstarstore.it website. 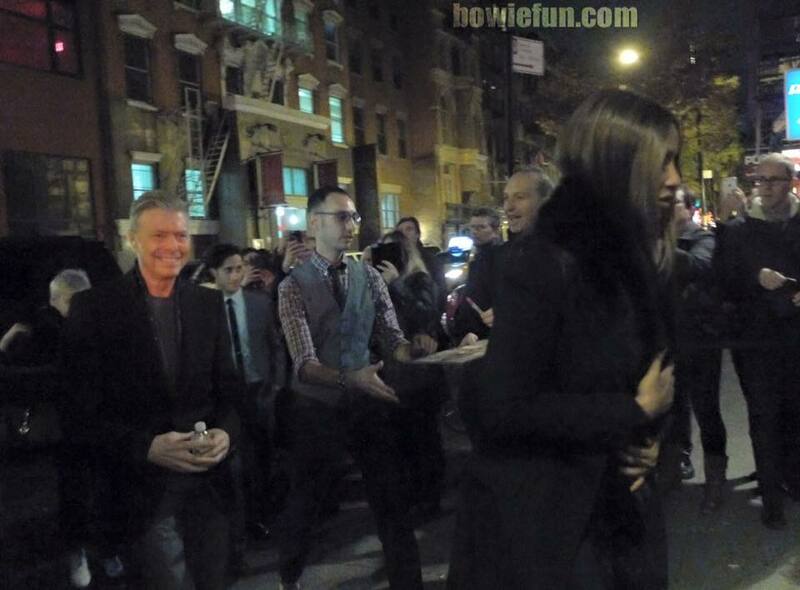 On this day, 2 years ago, DAVID BOWIE and IMAN attended the Premiere of LAZARUS theatre production at The New York Theatre Workshop, NY, USA. At the end of the show David took to the stage for a standing ovation. 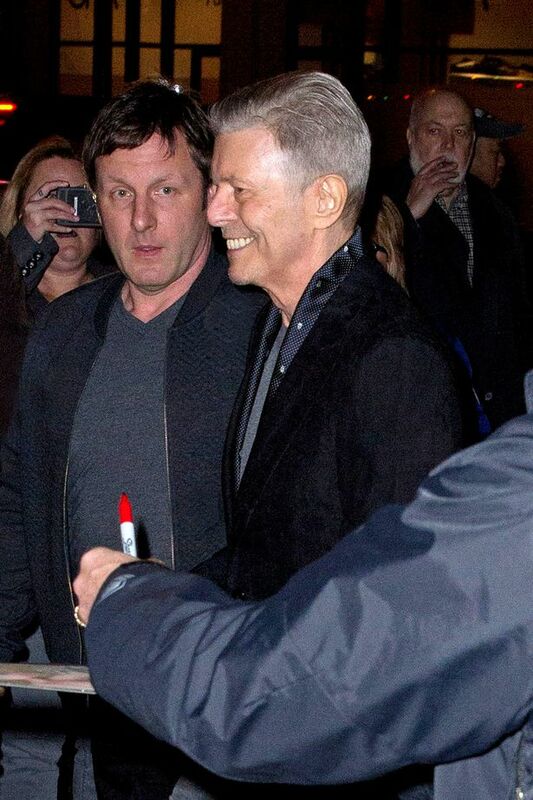 This was to be David's final public appearance. 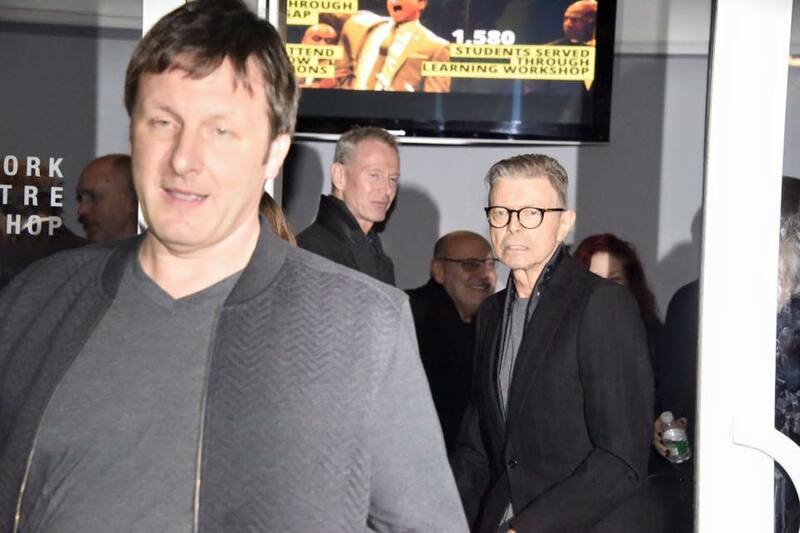 Check out these fabulous photographs taken by LOPEY who managed to take a great image as a smiling David and Iman arrived at theatre, as well as Susan Sarandon, Tony Visconti and Kristeen Young. David, Enda Walsh, Ivo van Hove and cast take a standing ovation. Photo by Jan Versweyveld. 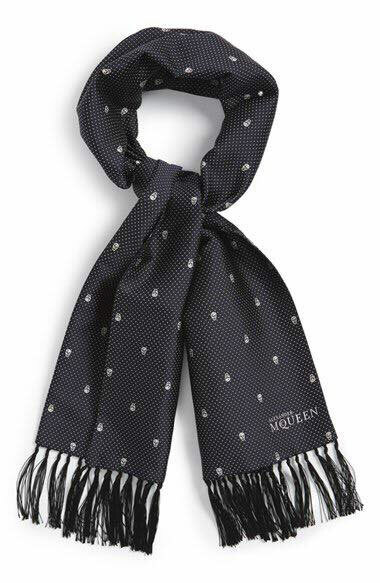 For all you fashionistas out there... David is wearing a Alexander McQueen dark navy and silver skull polka dot evening scarf. 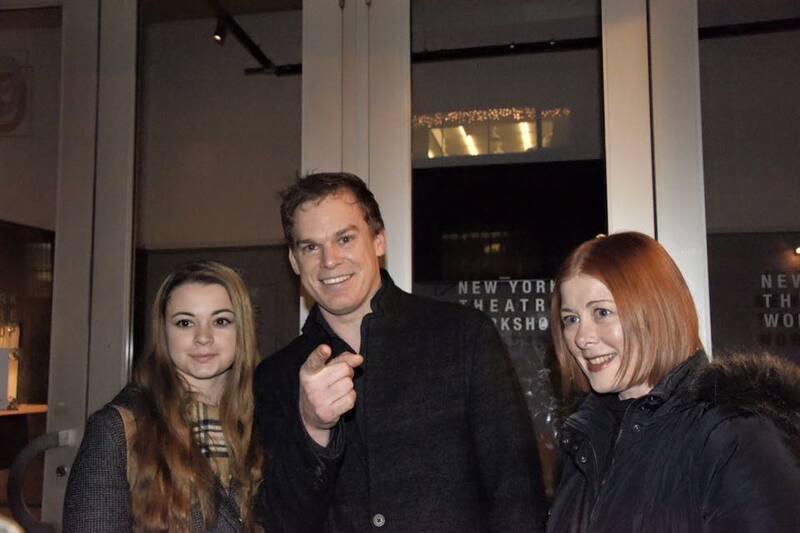 Below are the photographs taken by PAULA SCIUK, as David, Iman and actors Michael C. Hall and Cristin Milioti left the theatre. 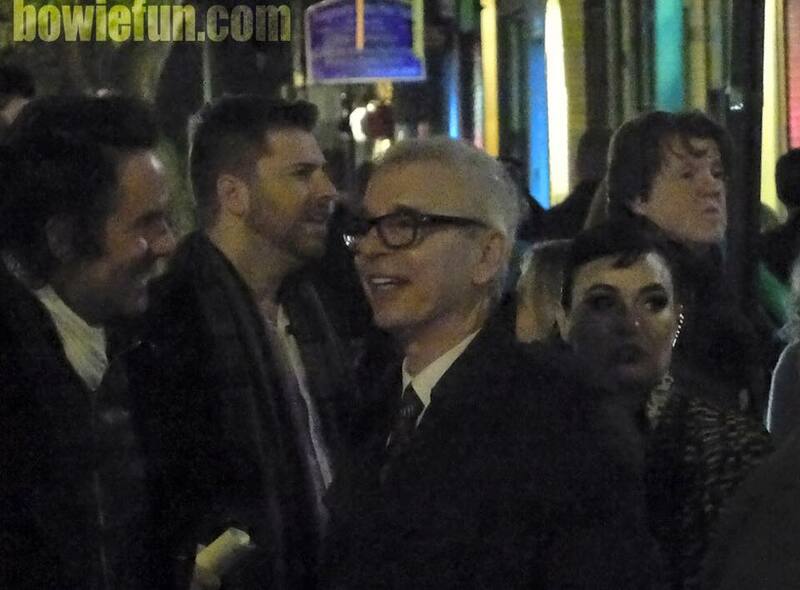 In the foyeur are Jimmy King and Bill Zysblat. (See original news stories and video footage here). 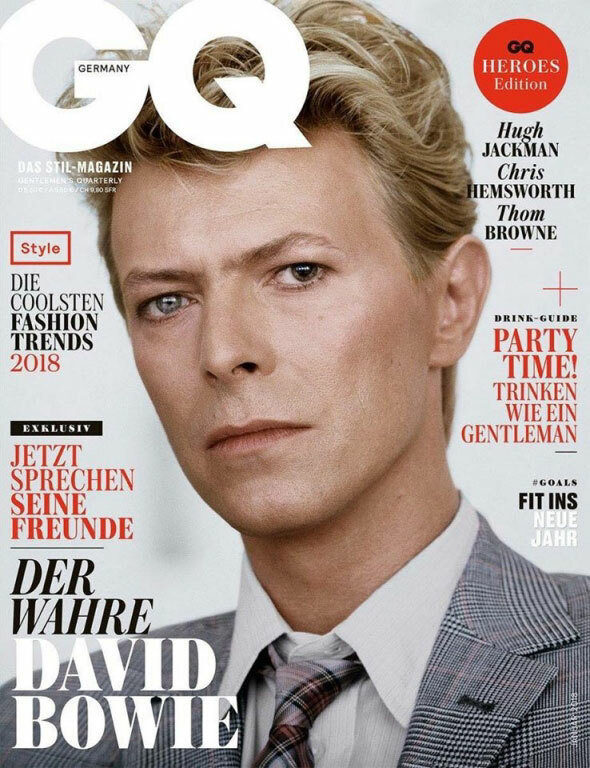 DAVID BOWIE graces the front cover of the GERMAN edition of GQ magazine. This January 2018 'GQ Heroes' Edition is on sale at selected trade outlets from 7th December. Inside is an exclusive feature on the style icon - 'The True David Bowie'. Also the coolest fashion trends for 2018, an exclusive feature on the style icon David Bowie and the final answer to the question of how a gentleman really drinks. For more details and information, visit the gq-magazin.de website. 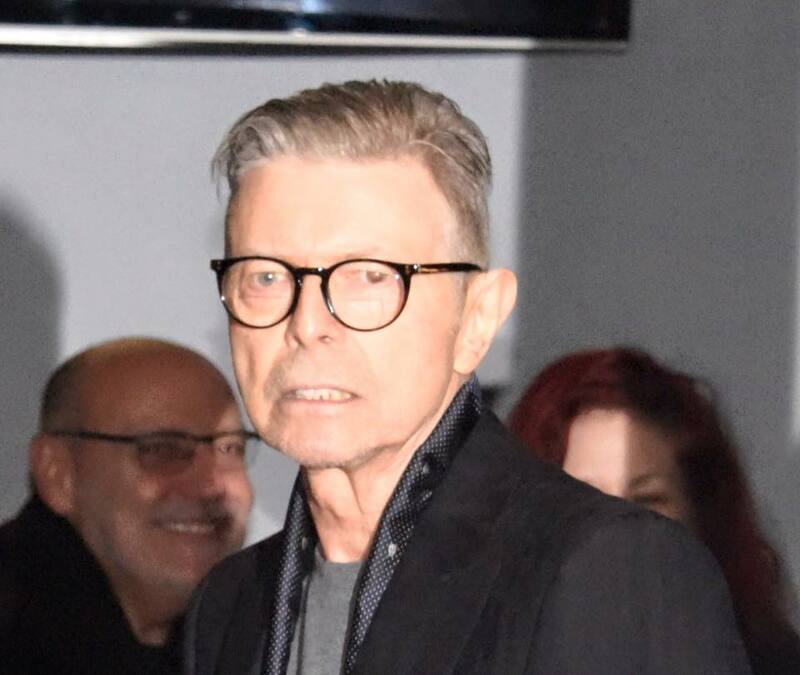 You may recall two years that DAVID BOWIE and BRIAN ENO gave permission for one of their songs to be included in the SPONGEBOB SQUAREPANTS musical. Originally it was reported back in August 2015 that David was writing an original song for this project, along with additional lyrics by Jonathan Coulton. 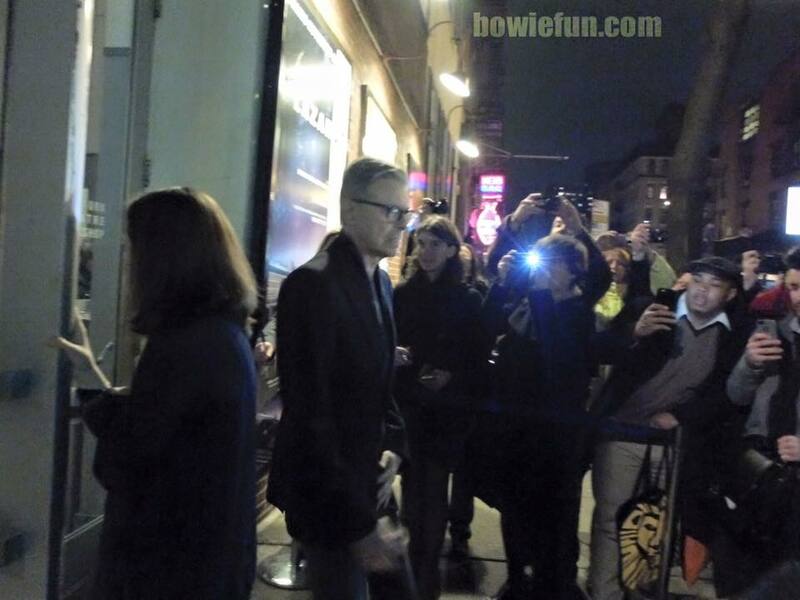 Then later on 8th October davidbowie.com announced that he would only be using 'No Control' from his 1. Outside album. The musical is currently playing on Broadway in New York. For more details visit spongebobbroadway.com website, where you can get links for streaming and downloading and so on. BEAUTY AND THE BEAST PRE-ORDER! Available to pre-order now is DAVID BOWIE's next 40th Anniversary picture disc single BEAUTY AND THE BEAST released via Parlophone next month. This limited edition release (Catalogue Number: DBBATB 40A) sees the light of day on Friday 5th January 2018. Mixed by Tony Visconti at Hansa. You can pre-order Beauty And The Beast NOW! 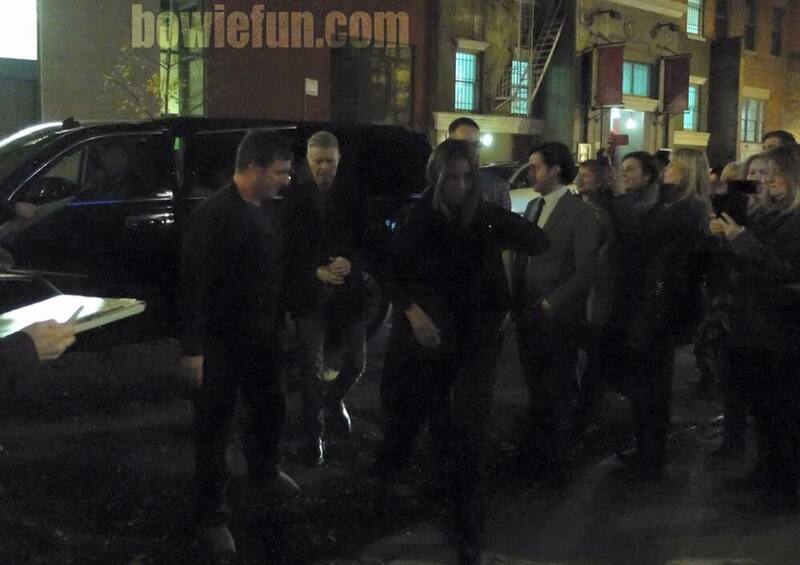 David Bowie Is in Brooklyn, New York. Standard tickets are now on sale. Exhibition runs from Friday 2nd March 2018 through to Sunday 15th July 2018. Visit brooklynmuseum.org to book now! 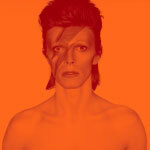 The DAVID BOWIE IS exhibition is visiting the BROOKLYN MUSEUM in New York. The exhibition runs from Friday 2nd MARCH 2018 through to Sunday 15th JULY 2018. Located on: Morris A. and Meyer Schapiro Wing and Iris and B. Gerald Cantor Gallery, 5th Floor, 200 Eastern Parkway, Brooklyn, New York 11238-6052, USA. The museum open every day, except Mondays and Tuesdays. The Brooklyn Museum presentation is organised by Matthew Yokobosky, Director of Exhibition Design, Brooklyn Museum. The exhibition is accompanied by a richly illustrated catalogue edited by Victoria and Albert Museum Theatre and Performance curators Victoria Broackes and Geoffrey Marsh, with essays by Camille Paglia, Jon Savage, Howard Goodall, Christopher Breward, Oriole Cullen, Nicholas Coleridge, and a roundtable discussion with Sir Christopher Frayling, Philip Hoare, Mark Kermode and Geoffrey Marsh. Go to brooklynmuseum.org for full details and special ticket bookings. 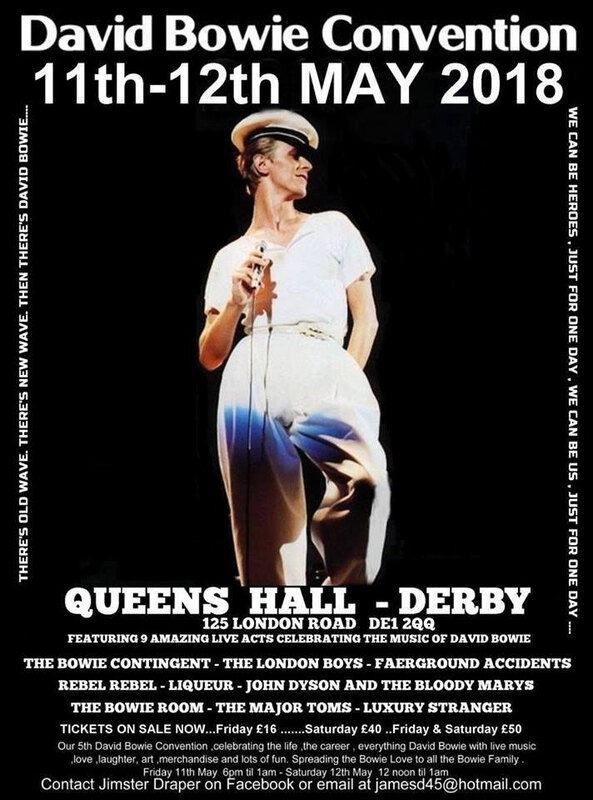 Tickets are on sale now for the DAVID BOWIE 2018 UK Convention which takes place in Derby on 11th and 12th May. With live music from: The Bowie Contingent, The Bowie Room, Luxury Stranger, Liqueur, Faerground Accidents, Rebel Rebel, with more acts to be confirmed. The DUBLIN BOWIE FESTIVAL takes place on 4th January through to 10th January with some very special guests. Check out the full programme of events over at dublinbowiefestival.ie website. New BEAUTY AND THE BEAST / BLACKOUT 40th Anniversary limited edition 7 inch picture disc to be released 5th January 2018 via Parlophone - you can pre-order NOW! Standard tickets for the DAVID BOWIE IS exhibition at the BROOKLYN MUSEUM in New York now on sale Wednesday 15th November at 11.00 am EST - visit brooklynmuseum.org to book. 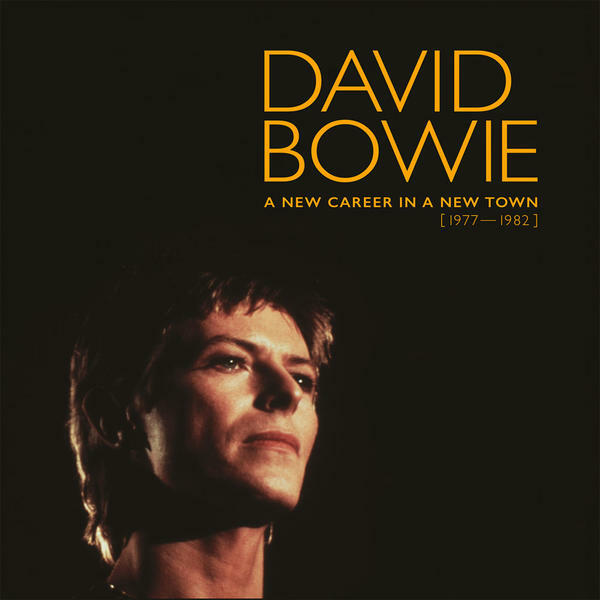 Brand new DAVID BOWIE 'A NEW CAREER IN A NEW TOWN (1977 - 1982)' BOX SET vinyl / CD and digital downloads released 29th September via Parlophone - you can purchase NOW! Highly recommended new book EARTHBOUND: David Bowie and The Man Who Fell To Earth by SUSAN COMPO, published by Jawbone Press on 24th October - you can purchase NOW. 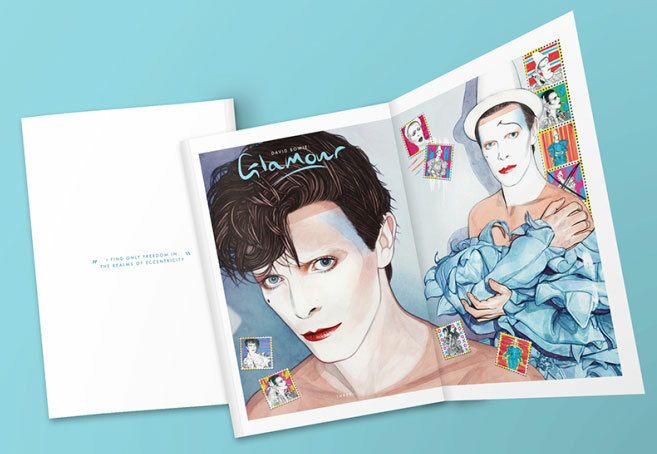 New book BOWIE: THE ILLUSTRATED STORY by PAT GILBERT hardcover, 224-pages, published on 2nd November via Voyageur Press - you can purchase NOW. OFFICIAL DAVID BOWIE 2018 WALL CALENDAR out now, published via Brown Trout Publishers - you can purchase NOW.